Canadian folk music duo Ian Tyson and Sylvia Fricker drop by CBC television's Open House to play, sing, and talk to host Max Ferguson about their current plans. They discuss the start of their individual careers, and their preference for Anglo-Saxon folk music. Note: The content of this clip has been edited for copyright. Rufus Wainwright tells CBC's Midday what it was like to sign a U.S. record deal. The talented, 'boyish' French-Canadian orchestra conductor is rising to the top of his field in 2007. Jazz flutist Moe Koffman revisits some of the highlights of his long career in Canada and the U.S.
Sarah Slean chats about the art of composing. 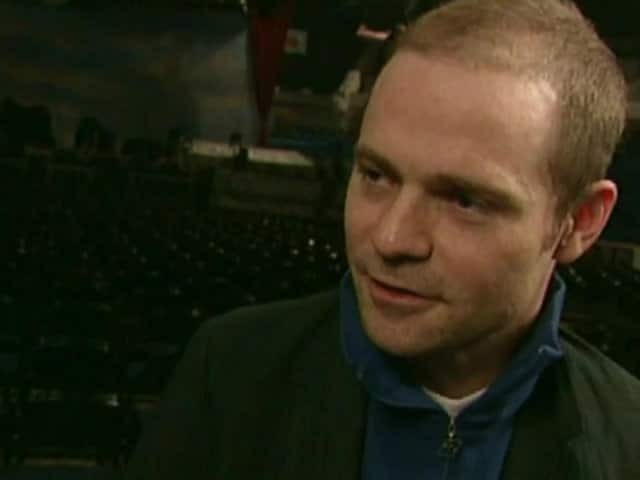 Gord Downie describes his "grunt work" as the front man for the Tragically Hip. The "queen of soul" chats with CBC's Laurie Brown about life, performing, church, pop music, men and even Martha Stewart. 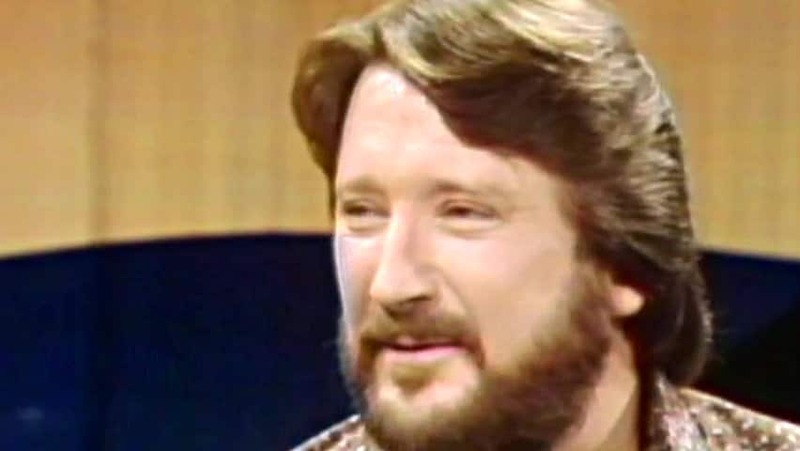 John Allan Cameron, patriarch of Canada's traditional music scene, died on Nov. 22, 2006 at age 67. The children's entertainment trio Sharon, Lois & Bram conduct a lively discussion about their music with CBC host Pamela Wallin. From her home in Hawaii, Buffy Sainte-Marie describes her creative process and her efforts to teach Indigenous issues in schools. After the grunge scene gets old in Seattle, record labels and music fans find new sounds in Halifax in 1993. Canadian composer R. Murray Schafer talks to Midday host Tina Srebotnjak about soundscapes and his music in 1993. 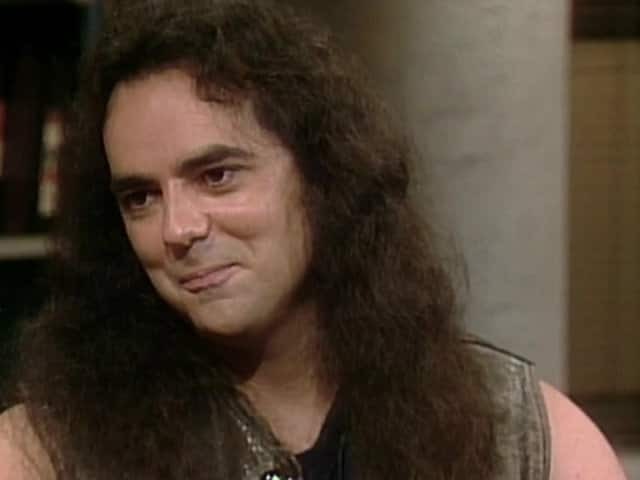 In 1992 the Quebec songwriter says his future depends on connecting with a younger audience. The Halifax-born musician talks to Ralph Benmergui about choosing songs. Singer Céline Dion talks to host Ralph Benmergui about her early aspirations for a singing career. Actor, singer and entertainer Robert Goulet chats with CBC's Vicki Gabereau. Meet the neophyte comedian and member of Organized Rhyme in 1992. Though she's still in high school, she's got a bright future. Susan Aglukark launches her singing-songwriting career. Gord Downie talks with CBC about the nature of writing and the evolution of The Tragically Hip's songwriting. Daniel Lanois, back home in Canada, has released his first solo recording. 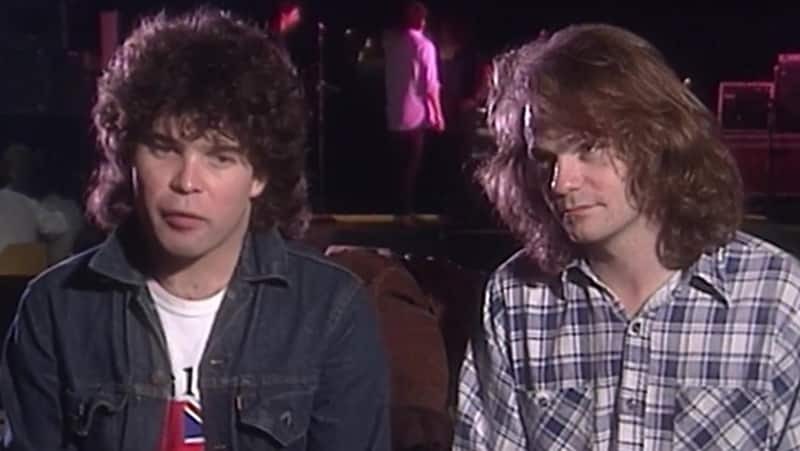 Jim Cuddy and Greg Keelor, songwriters for Blue Rodeo, discuss their music in 1988. David Edwards talks about Michael Jackson's bid for the bones of John Merrick. Country music legend Dolly Parton discusses her new theme park Dollywood, her recent musical collaborations and her love of shoes. After 25 years as managing director of the Toronto Symphony Orchestra, the hard-working Homburger is retiring in 1987. The up-and-coming, genre-defying country music singer is Peter Gzowski's guest on a 1985 New Year's Eve special. 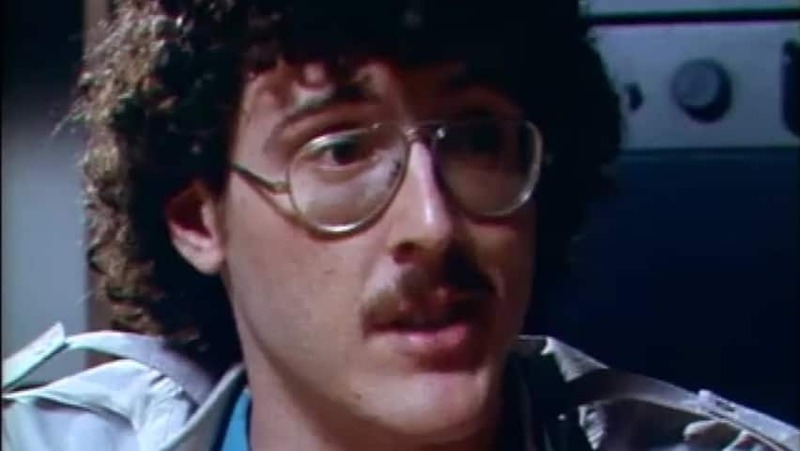 In 1985 actor Jan Rubes tells Peter Gzowski about his role in the Hollywood film Witness. The accordion-playing song parodist talks about Michael Jackson's sense of humour and how Jell-O helps his creative process. Buffy Sainte-Marie on writing, Pauline Johnson, spirituality and success. In 1984, Buffy Sainte-Marie tells Our Native Land about her childhood, college and her early years as a singer. In 1984, as retailers cash in on Michael mania, the pop star's men crack down on Toronto bootleggers. A Canadian researcher refutes a California pastor's claim that Satan is recruiting followers through rock music in 1984. In her first English-language interview, the young singer talks about her wish to become an international star. Canadian blues icon Jackie Washington introduces Jessica Porter to the genre. Musician Tommy Banks, also a CBC talk-show host, appears on Bob McLean's show with Juliette in 1981. Fans are distraught after music icon John Lennon is shot and killed outside his home in 1980. Musician Ronnie Hawkins talks to host Riki Turofsky about his early musical days in Canada and his first acting role. In 1980 the New Brunswick musician describes finding her place as a champion of Acadian music. 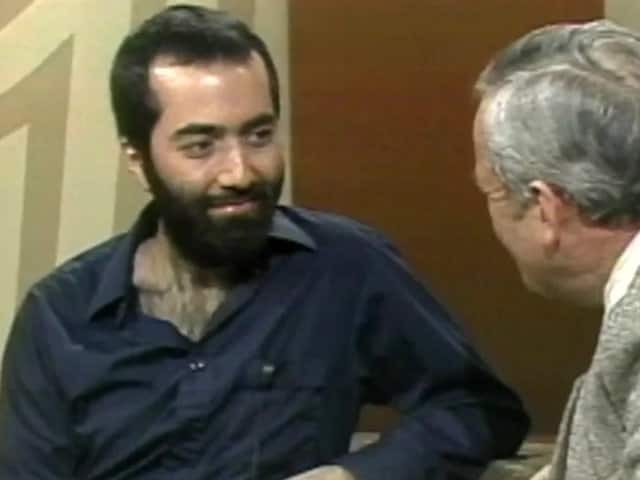 Children's entertainer Raffi is in the Take 30 studio to talk about his music and concert-filled year. Meet folksinger, Indigenous activist and Sesame Street star Buffy Sainte-Marie. The folk musician talks about his Nova Scotia roots and strums the guitar he received as a five-year-old. 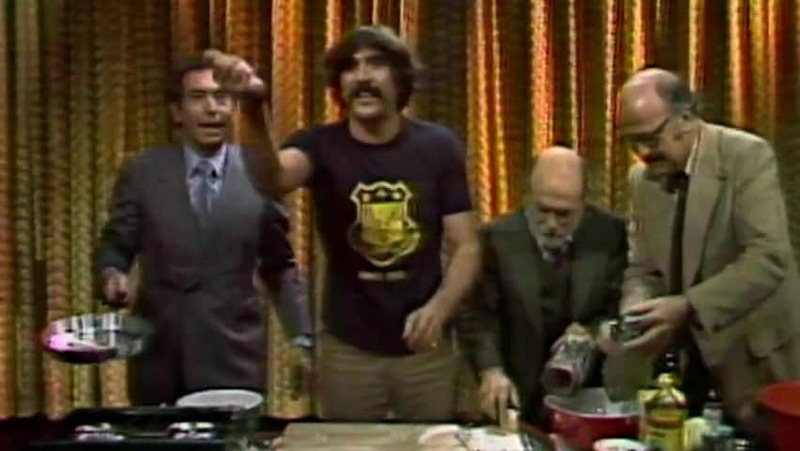 Musician and restaurateur Zal Yanovsky enlists Paul Soles and fellow guests in making latkes. World-renowned Canadian jazz musician Peter Appleyard shows off his multi-instrumental talents to Peter Gzowski. Denny Doherty talks about the early days of his music career. 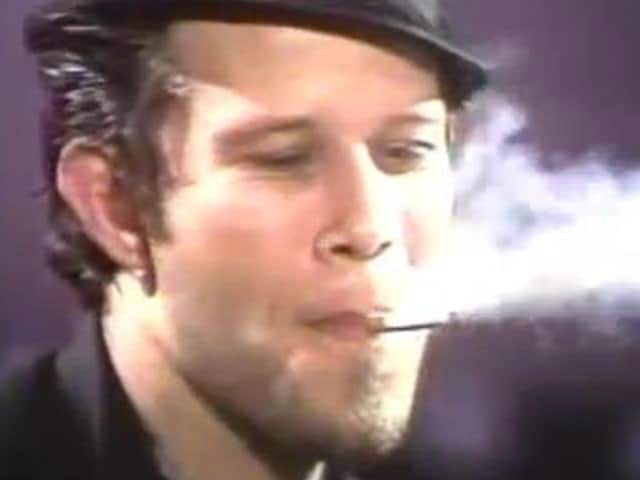 The musician has a cigarette and a beer while talking to Peter Gzowski after a live performance in 1977. In 1977 the McGarrigle sisters chat about music, being on the cusp of fame and washing dishes. The brass quintet describes how Chinese audiences reacted during its 1977 tour of the country. Ramblin' Jack Elliott tells stories to CBC's 90 Minutes Live audience. In 1975 the legendary country musician discusses his music, his family and how he overcame a powerful drug addiction. 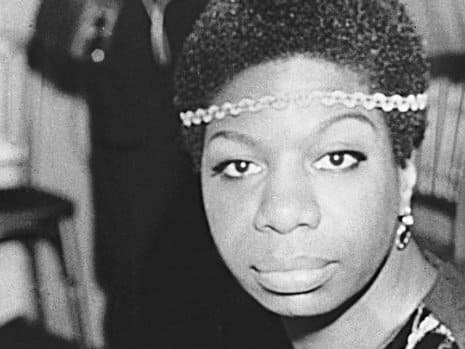 The singer speaks to CBC Radio in 1974. 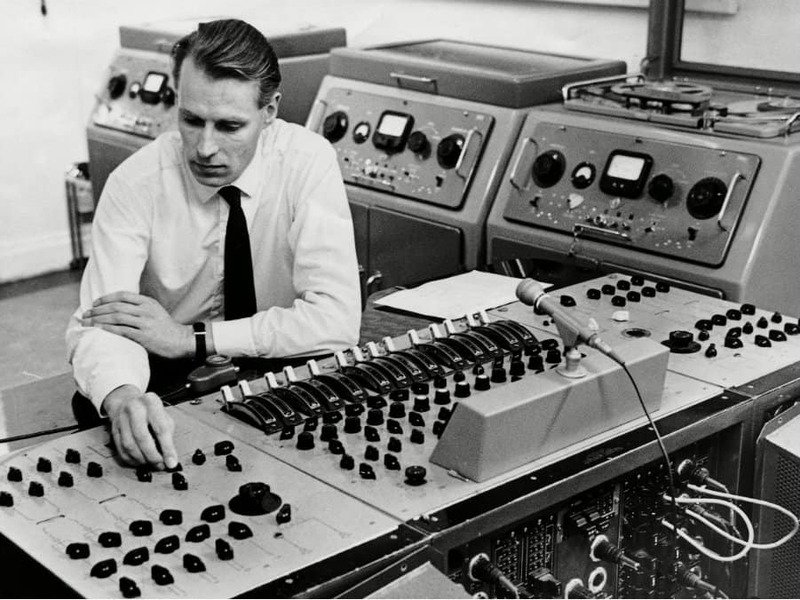 In offices, factories, airplanes, stores and hospitals, generic music is carefully designed to energize or soothe captive listeners in 1973. 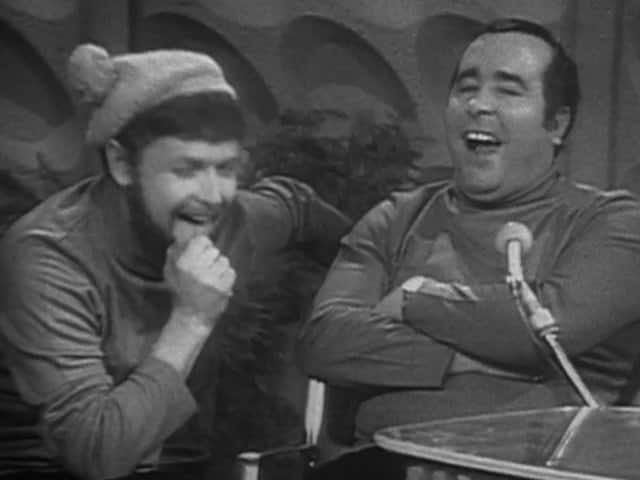 In 1972 the Ottawa-born crooner ponders whether Canadians and Americans have different performing styles. Johnny Cash on the American Indian, and a report on Vancouver Island's Cowichan band. 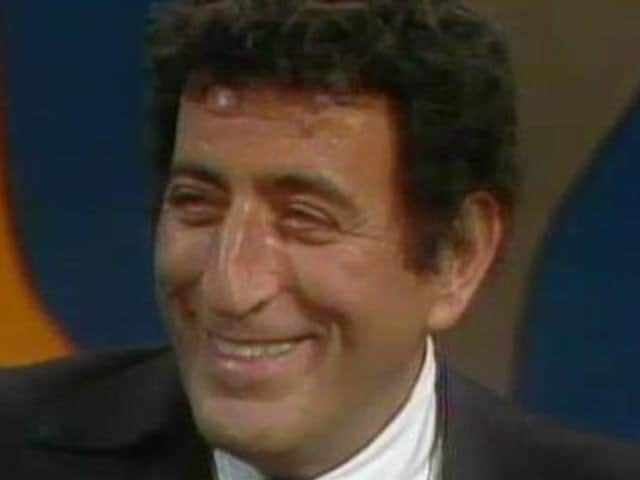 Anne Murray is the mystery guest for her achievement of gold record status in the U.S.
Musical brothers Boris and Denis Brott talk to CBC's Pat Patterson. 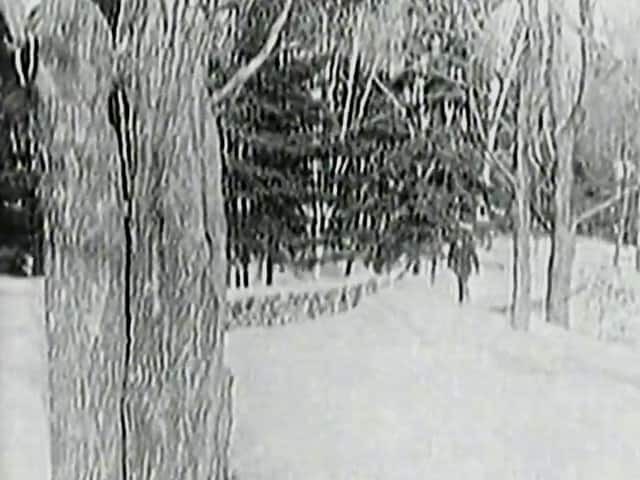 Bruce Cockburn, viewed snowshoeing in a country landscape, is heard talking about the title song from his 1970 debut album. 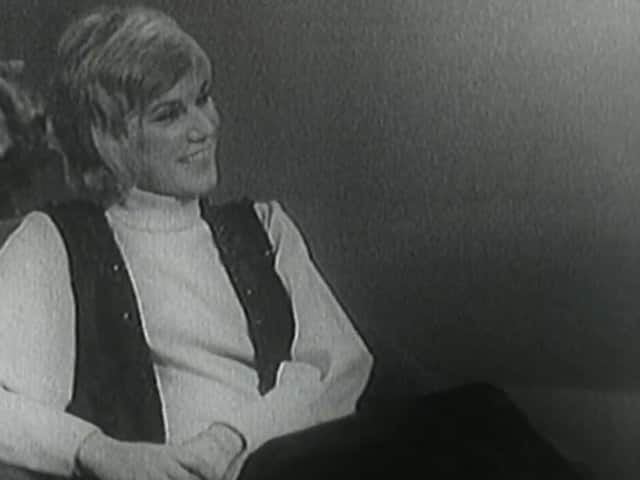 In 1969 the British pop singer talks about her decision to try acting and recalls a disastrous Ottawa concert. Meet the leader of the Mothers of Invention, "the ugliest and most freaked-out pop group in North America." A 1969 interview with Jimi Hendrix, Noel Redding and Mitch Mitchell upon the release of Electric Ladyland. 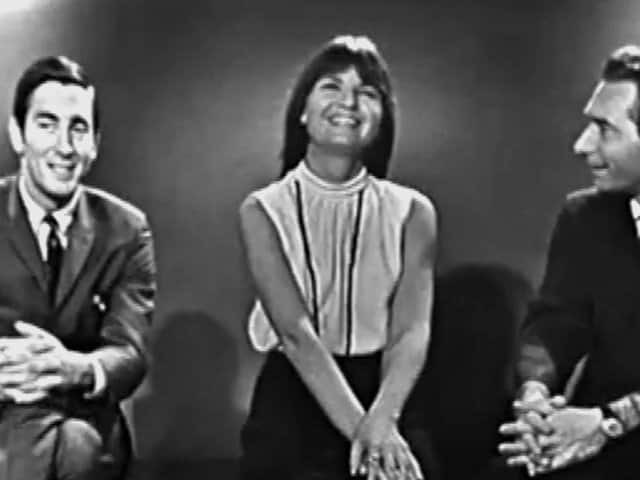 The band who wrote the hit "The Unicorn" talks to the CBC's Alex Barris in 1968. The songwriter talks to the CBC's Barbara Amiel about America's young people and his own goals as a performer. British pop singer Petula Clark talks about some of the lessons she's learned from working in show business. Expodition talks to Supremes singer Diana Ross and glimpses La gendarmerie française rehearsing its grand horse show. An interview with Maria von Trapp, the matriarch of the von Trapp Family Singers. Teenagers groove to the blues and musicians with the Dave Brubeck Quartet and The Seekers chat with Expodition. Take 30 goes across the pond to survey the fashion and music scene in swingin' London. 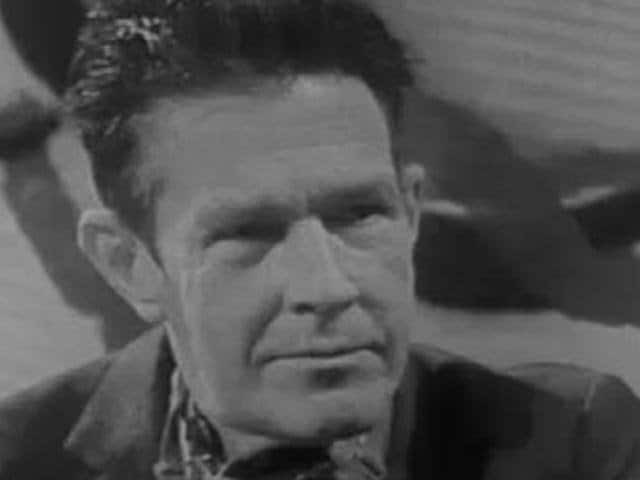 Deliberate distortion garbles the voice of the groundbreaking composer as he talks to host William Ronald in 1966. America's master songwriter comes to Canada for the revival of his mega-hit musical, Annie Get Your Gun. The acclaimed violinist reminisces about his teacher Georges Enesco and Brahms. Reporters describe screaming fans at the airport, outside a Toronto hotel and in a Vancouver concert. People can't stop talking - and screaming - about the Fab Four. French-Canadian composer Jean Papineau-Couture discusses his early days and musical background. The rising country star talks about his Canadian itinerary, his music and his home life in 1959. Portia White, an acclaimed concert singer, tells Tabloid viewers what she's been up to since moving to the city. The Ottawa singer-songwriter is seen at home on a break from his busy touring schedule.